RYA Certification Course. 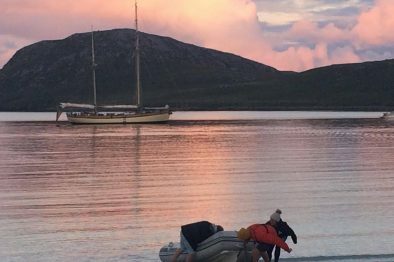 Join the Maybe for a 5-day Sail Training journey. Sail on the Irish Sea from Belfast to Greenock and learn everything you need about sailing a traditional gaff rigged vessel. This is a hands on practical course and by the end of the week you should be able to steer the ship, handle sails, keep a lookout, row a dinghy and assist in the day to day duties on board. After the trip, depending on your experience and knowledge you will achieve your RYA Start Yachting or your RYA Competent Crew qualification. For Windseekers of all ages, minimum age 18 years. 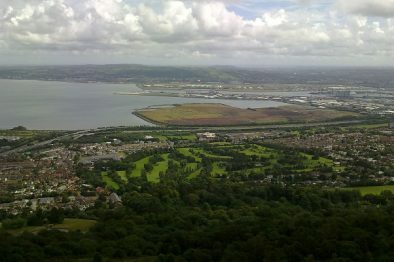 Belfast is the capital and the largest city of Northern Ireland. It started out as a small hamlet with fertile land along the mouth of the Lagan. Soon, marauders and pirates realised Belfast’s lough was deep and their shores were the perfect haven for repairing sea ravaged ships. Today Belfast is a wonderful city to explore! Visit the Titanic quarter waterfront, the Ulster Museum, or the Odyssey area where you’ll find lots of entertainment. And spend some time in one of Belfast’s many pubs. Greenock is a small port town west of Glasgow in south-west Scotland. The town is surrounded by a plethora of walking and hiking routes into the scenic Inverclyde region – climb the nearby hills to discover views of the highlands or see huges lochs (Scottish fjords) open out into the Clyde estuary . A pleasant, quiet stop before heading north to the more rugged islands off Scotland’s west coast.